Edward Jerrard Tickell was born in Dublin in 1905, and died in 1966. Tickell (1905-1966), who was Irish, was to become a highly successful novelist and writer, and to have two particular successes with his memoir of Odette, the special agent, and with a novel in 1951 called Appointment With Venus. His wife was a well-known spiritualist, Renee Haynes. There is a good bibliography of his work here. At the time of his first competition win, he had published one of the twenty novels he was to complete. His success as a writer was principally post-war (and related to the war), notably his account of the special agent Odette. 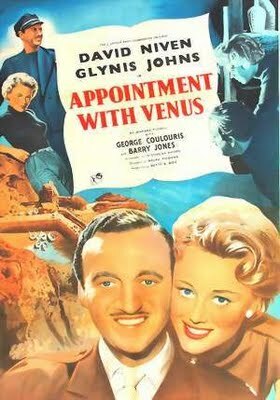 However his Appointment With Venus (1951) was turned into a comedy starring David Niven. Matthew Sweet’s book West End Front, reviewed here, reveals that Tickell was lucky to escape with his reputation intact when a girlfriend of his died from an abortion that went wrong. The secret was kept until Sweet did his research.